They look beautiful when glistening in the light of the winter sun, but icicles have a dark side too! Icicles: They’re a natural part of winter’s beauty. But if you’re a homeowner, it’s crucial to recognize that for all their aesthetic rewards, icicles also bring along a certain set of risks. For starters, remember that ice isn’t light—it weighs a whole lot. If it builds up along the roofline, unchecked, it can cause damage to your gutters, to the roof deck and shingles, and even to the home itself. At the same time, keep an eye out for any icicles hanging over doors and walkways. Falling icicles injure more people in a year than you might think! 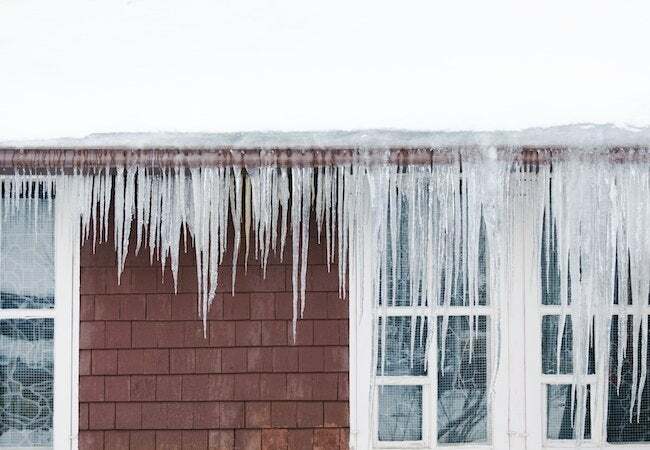 Note that if you’re consistently seeing icicles jutting down from the roof overhang, chances are good that you’re dealing with an ice dam. Ice dams occur when enough heat escapes from the attic to melt the snow and ice on the roof. In turn, the melted water refreezes along the cold, outer edges of the roof structure, blocking the passage of additional snowmelt, and leaving the upper portions of the roof vulnerable to extensive leaks. The best way to prevent icicles? Seal any gaps and cracks in your attic and make sure it’s well insulated, with venting for sufficient air circulation.